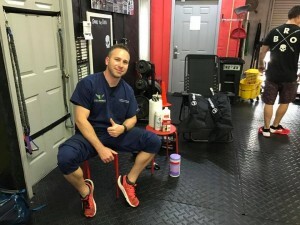 The plantar fascia is the flat band of tissue that connects your heel bone to your toes. It supports the arch of your foot. If you strain your plantar fascia, it gets weak, swollen, and irritated (inflamed). Then your heel or the bottom of your foot hurts when you stand or walk. Over-pronation results in a constant tugging of the attachment site. Inflammation then results from this constant insult to the local tissues. When the patient is off-weight bearing, scar tissue begins to repair the site of injury. When the patient resumes weight-bearing, the scar tissue is torn resulting in acute pain. This explains why patients with this disorder typically experience the most pain when they get out of bed, or stand after a period of sitting. The most common symptom of plantar fasciitis is pain at the bottom of the heel at the attachment point of the plantar fascia. It is usually described as a burning or stabbing pain, which may radiate along the bottom of the foot to the base of the toes. The pain is most severe in the morning upon getting out of bed. 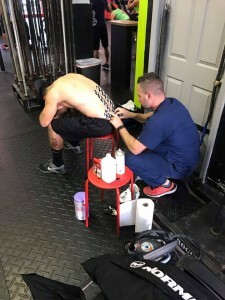 This is because the plantar fascia contracts overnight, and the pain will gradually decrease upon movement and stretching throughout the morning. The pain can be aggravated by long periods of standing or sitting, or by jogging, running, walking, and other forms of activity. Acute plantar fasciitis may become chronic if ignored. It may also cause heel spurs to form on the bottom of the calcaneus, which are permanent and may have to be surgically removed. When a person is having significant pain in one foot, he or she will subconsciously change the way he or she is standing or walking to accommodate to the pain, which means putting more stress on other joints in attempt to take pressure off of the painful foot. When plantar fasciitis flares up, a person may experience knee, hip, or back problems due to changes in the biomechanics of walking or standing. This can cause long-term problems in other joints in the lower extremity and/or back. The open has been a great event so far. Unfortunately there have been a few injuries but that is why I am there to help. 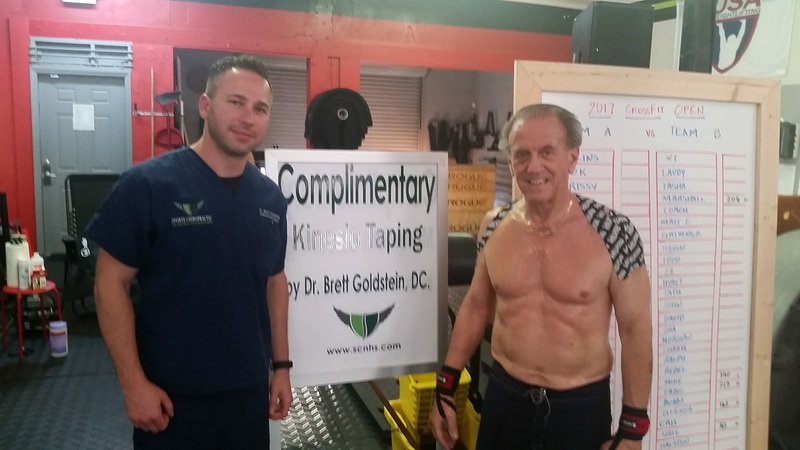 I will be there this Friday so come on out and recover with Dr. Goldstein! Below is a very short video that describes what a herniated disc looks like. A disc herniation may cause a pinched nerve which simply means that the nerve is pinched or entrapped. This can happen in many places in the body. Common areas this is seen is in the neck, back, wrist, elbow and leg. There may be nerve pain when a nerve is pinched. 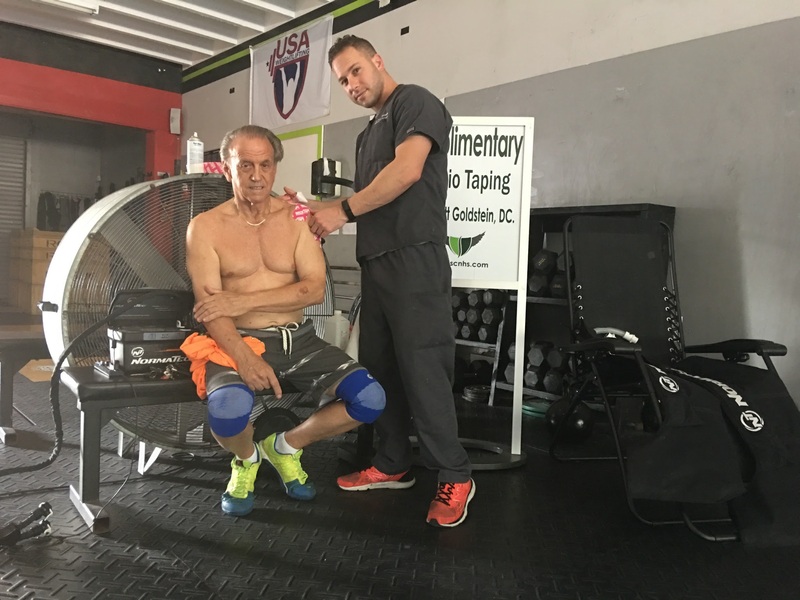 You may also experience sensory loss, muscles weakness or altered reflexes. Check out the case studies by clicking here! Science Based Nutrition™ is a science based approach to nutritional healthcare. Many problems show up in the blood long before you actually “feel” symptoms. Did you know you can have only 20% liver or kidney function left and still have virtually no symptoms? How do you know if you’re truly healthy? Certain tests, when read properly, will indicate whether or not you are progressing toward a serious illness, such as cancer, liver, heart or many other diseases. Starting with a consultation, we will determine the testing that should be done. Using bloodwork and other diagnostic tools, an in-depth analysis of your body function will be performed. The testing will show where the problem areas are occurring or just developing. Your detailed report will explain your test findings, as well as the nutrient and dietary recommendations based upon your test results. Doing Feet Scans at OTF. 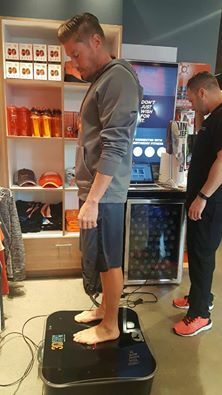 Had a great time doing foot scanning assessments at OTF over the weekend. Discovered many of the runners were running bio mechanically insufficient which may lead to knee pain , plantar fasciitis and shin splints just to name a few. Schedule at appointment today for your foot scan assessment and see if you are at risk for injuries. Do you notice that your shoes are always wearing down on one side? Do you have medial knee pain after running? We may be able to help you. Contact the office and have your feet scanned. Do you have a chronic injury that just wont go away. Does that nagging foot pain, plantar fasciitis or hamstring pain get you down? This may be the solution for you. Rest in Peace – R.I.C.E. Almost every singe athlete, athletic trainer and weekend warrior knows what to do after an injury. We have been taught to fall back on the acronym that Dr. Mirkin invented. In 1978 he used the term R.I.C.E. which stand for (Rest, Ice, Compression, Elevation). It only took about 30 years or so until Dr. Mirkin and colleagues started to understand that ice and complete rest in R.I.C.E. may actually be slowing down the healing process instead of speeding it up. Why would Ice delay the healing process you may ask? During competitive events, trauma or your everyday workout, your muscles go through some sort of damage. Inflammation will start to set in order to heal the muscles which is started by your immune system. Your immune system sends cells and proteins to the site of where the damage occurred. This is done to promote healing. The cells that are sent to the damage site are called macrophages and they release IGF-1 which is a hormone that helps muscles or other damaged tissues heal. Ice helps to reduce the swelling but it prevents the body from releasing IGF-1. Ice applied to the body causes the blood vessels to constrict. This constriction shuts off the blood flow that would bring the healing cells to the damaged site. Ice is not the only thing that would cause a delay in healing. Anything that reduces inflammation would cause this delay which would include anti-inflammatory drugs. R.I.C.E. has been around for a while and it will do the job with most injuries but may not always be the most effective choice. It is advised that after an injury to see your medical provider to determine if any bones are broken or if any ligaments are torn.